The Lady of the Stream Weekend. 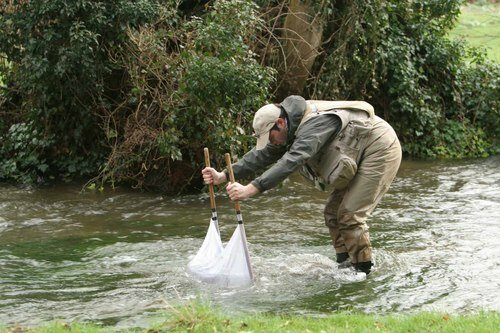 A fly fishing workshop on the river Test and Dever in Hampshire for grayling (Febuary 24th and 25th 2007). At the Peat Spade Inn, Longstock, Hampshire. The weekend was a resounding success and a big thank you to Paul and Brett for their first class tuition and presentations on grayling, entomology and chalkstream casting techniques. We kicked off with some introductions at the bar over a quick pint and filed upstairs to the wonderful private dining room the Mayfly Mess. The conversation over a superb dinner resounded fishy themes as stories were swapped and recounted. As coffee was served Paul started his excellent presentation with some first class slides taking us through the habits of grayling throughout the year and how to catch them under various conditions. We reconvened the next morning after breakfast and made our way to the river full of expectation. 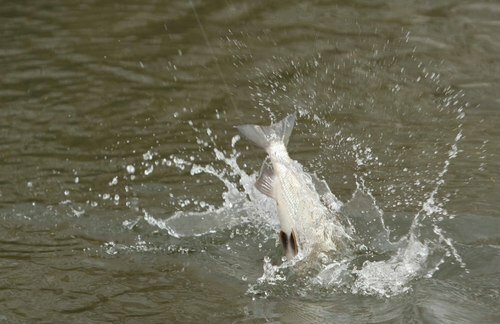 With a rare opportunity to fish some very private water at the confluence of the rivers Dever and Test, eyes lit up as our guests first saw this very beautiful water. After two nights of heavy rain the water was holding some colour and the wind certainly wasn’t helpful. However, with the help of Paul, Brett and myself, everyone took fish and the resulting feedback of the weekend was very encouraging. Paul kicked off with a talk through tackle comparing the merits of a long rod for Czech nymphing techniques for example. He then took some kick samples from the river bed and talked through some basic entomology. As we looked at the natural insects he showed us the artificial and talked about how to tye it and present it to the fish to mimic the natural. 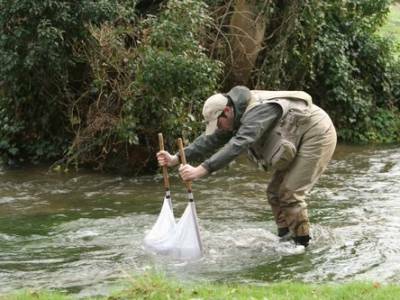 He also spoke about making your fly stand out to the grayling and how brightly coloured flies can help to do this. Brett was up next giving a first class casting demonstration and workshop showing various upstream casts, how to mend line and keep the fly from dragging. He also spoke about detecting a take. 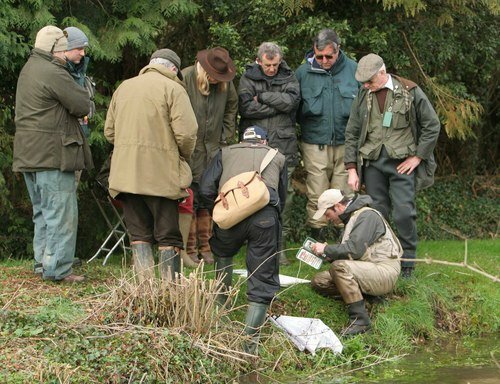 The demonstrations were followed by what most had really come for the fishing! 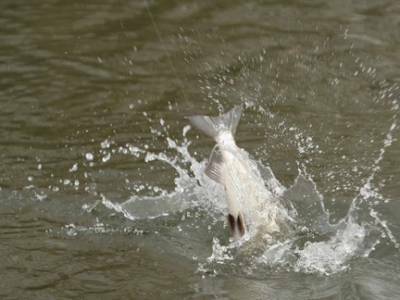 We divided ourselves among the six, two rod beats and went fishing. 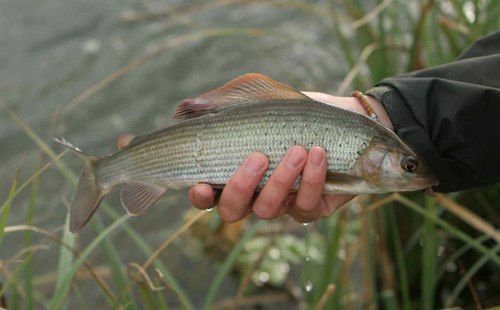 Paul, Brett and I made our way round everyone several times giving some one-to-one tuition and getting a few grayling on the line! The Peat Spade chefs prepared a wonderful hamper lunch which we ate in the old thatched fishing hut on the estate and afterwards we all fished on until late afternoon. Some returned to the Peat Spade for a well earned pint afterwards. A big thank you to all at the Peat Spade Inn for a first class job! 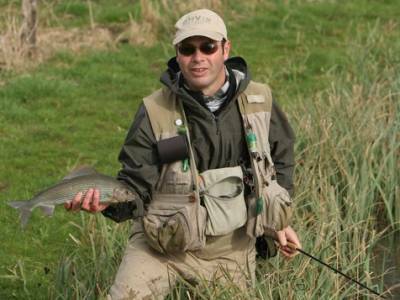 The star of the weekend was Mr Clive Collier, who as an experienced fly fisher took over fifty grayling to over 2 lbs on one of the upstream beats. Well done Clive! 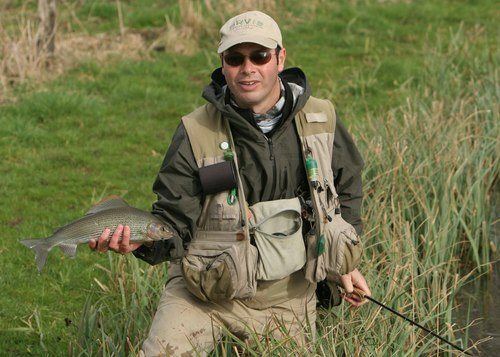 Fly fishing in Slovenia for marble trout with Paul Procter and Howard Taylor (September 2007).